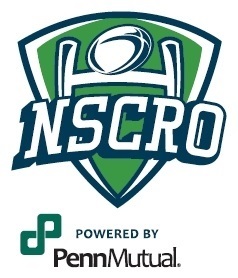 The Penn Mutual CRC is a two-day tournament featuring the country’s top collegiate men and women’s rugby programs along with NSCRO men’s national championship, and boy’s and girl’s high school divisions. In addition to over 200 rugby matches played over the weekend, the event has included a fan festival, interactive exhibits, tackling clinics, live radio broadcasts and post-event concerts. 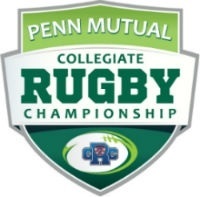 The Varsity Cup features some of the most recognized and accomplished collegiate rugby programs in the country vying for the right to be named the Penn Mutual Varsity Cup National Collegiate Champion. These teams (15 a side) play in a tournament bracket during April, leading up to the championship game in May. NSCRO is the National Small College Rugby Organization and is the governing body for Division 3 and Division 4 college rugby national playoff system. It aims to provide a level playing field for smaller colleges and universities. In order to compete in NSCRO, the school must have less than approximately 4,000 students enrolled. NSCRO has exploded in popularity and now consists of over 350 men’s and women’s programs with over 10,000 student athletes competing. Penn Mutual is proud to support the growth of collegiate rugby in the United States. To help support the growth, Penn Mutual has partnered with Rhino Rugby to offer discounted team kits. As long as the Penn Mutual logo is placed on the jersey, rugby clubs can save up to 50 percent on the cost the purchase! 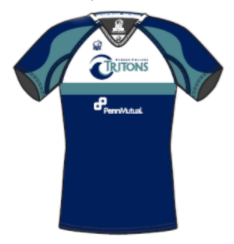 Take advantage of the Penn Mutual Rhino Rugby Jersey Program today. When people talk about rugby, it’s not just about the game. Rugby is known for its sense of community, loyalty, commitment and integrity. Similarly, Penn Mutual’s values are deeply woven into the fabric of our culture since our earliest days — acting with integrity, respecting one another, focusing on relationships, sustaining our legacy, a shared sense of belonging. Every year, Penn Mutual honors one men’s or women’s Collegiate Rugby Championship player, who best represents these shared values with the Penn Mutual Life of Significance Award. Upon winning the award, the recipient receives a five thousand dollar donation to the charity of his or her choice and his or her club is awarded one thousand dollar’s worth of Rhino Rugby equipment.